Written for any readers interested in better harnessing philosophy’s real value, this book covers a broad range of fundamental philosophical problems and certain intellectual techniques for addressing those problems. 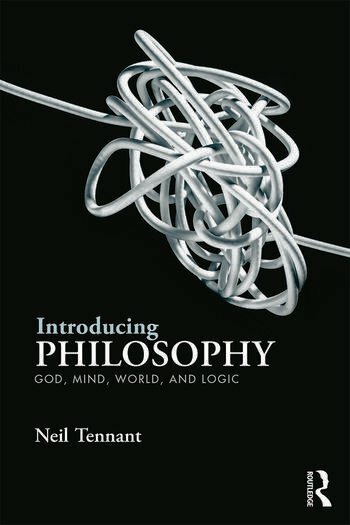 In Introducing Philosophy: God, Mind, World, and Logic, Neil Tennant helps any student in pursuit of a ‘big picture’ to think independently, question received dogma, and analyse problems incisively. It also connects philosophy to other areas of study at the university, enabling all students to employ the concepts and techniques of this millennia-old discipline throughout their college careers – and beyond. Neil Tennant (Ph.D., University of Cambridge) is Humanities Distinguished Professor in Philosophy and Distinguished University Scholar at The Ohio State University. He has published widely in the philosophy of logic and language, metaphysics, philosophy of mathematics, philosophy of mind, and the history of analytic philosophy. He teaches classes regularly at Ohio State, from 100-level Intro to Philosophy courses to Advanced Graduate-level Seminars. "This is one of the best introductions to philosophy I know of. It covers many subdisciplines of theoretical philosophy, is extremely well-argued, and is wittily written. It teaches precision in both concept-formation and argumentation but does not invest it in all-too abstract and irrelevant problems. Instead, it focuses on the great issues of philosophy—from the existence of God to the nature of the mind. Even the expert philosopher will benefit from it." "Virtually without exception, present-day introductions to philosophy are anthologies, mosaics of thought combining deliberations from varied sources and points of view. The systemic unity of thought that ought to be the hallmark of rigorous philosophy is entirely absent from such a Cook's tour transit across the landscape of thought. The unique feature of Tennant’s book is that it traverses a vast array of key issues from an integrated and consistent conceptual and methodological point of view. It superimposes upon thematic and doctrinal diversity a deeply insightful and analytical unity. The book will be a delight to teach."